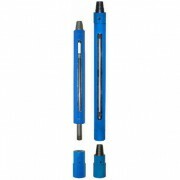 Sliding hammers can be used for driving shell and auger tools or U100 sample tubes. Two hammer designs are available. 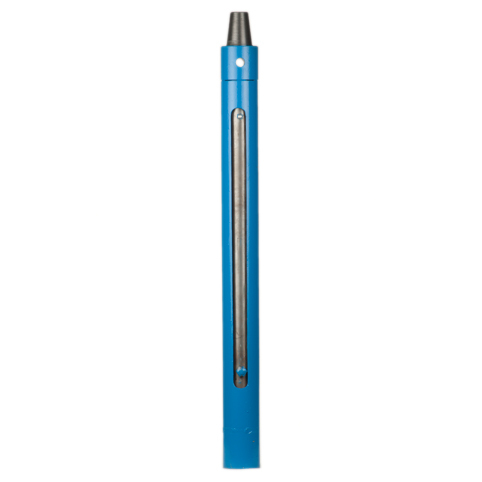 The standard type has a central shaft with a 2″ BSF pin connection at its lower end. This is connected to the drive head which acts as the anvil. The outer casing of this hammer acts as the driving weight (40 kg) and in operation the hammer has a stroke length of 2′ 3″ (686 mm). The heavy-duty type incorporates an anvil at its lower end, and the central shaft (which is much heavier than in the standard type) acts as the driving weight (50 kg). 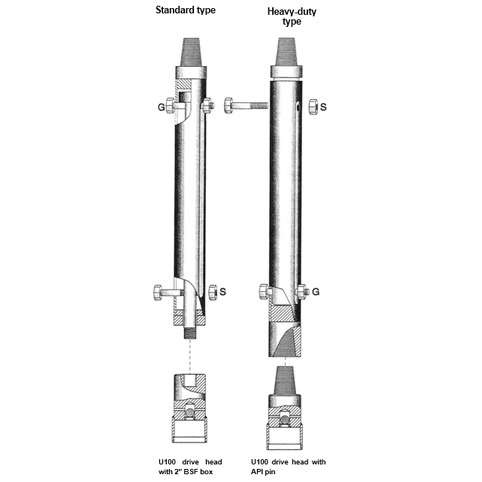 The stroke length of this hammer is also 2′ 3″ (686 mm). 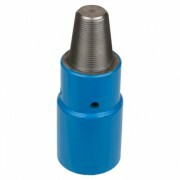 The connection at the bottom end is a 21/4″ x 31/4″ API box, so the hammer can be used as a driving or jarring device for standard cable percussion tools. 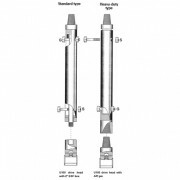 It can also drive U100 sample tubes when fitted with an API drive head. To increase the driving weight, sinker bars can be attached to each hammer via the API pin connection at the top end. Both hammers are supplied with two high-tensile steel bolts. One bolt (G) acts as the guide during driving. The other bolt (S) is for safety, and should be used to secure the central shaft to the outer tube when the hammer is being transported. 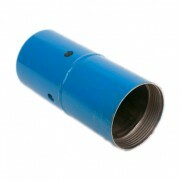 The outside diameter of both types of hammer is 41/2″ (114.3 mm). Sliding hammers with other diameters and stroke lengths can be manufactured on request.